With each and every wedding vendor meeting, I am quickly learning that much of wedding planning is trial and error. You meet with photographers, bakers and florists until you find the right fit for your wedding. One of the most important vendor meetings that you will have is that consultation with a florist. The florist will either have wedding flowers and services down or put simply, they won’t arrive to your wedding smelling like roses. I sat listening to a florist last week tell me how she doesn’t deliver, set up or clean up for weddings. If I wanted these services, I would have to pay a great deal extra. I was beginning to wonder what this florist did provide. 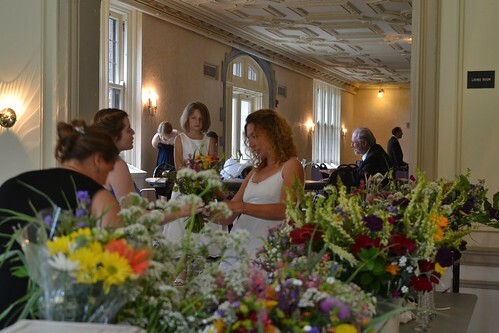 It seemed as though they were offering wedding flowers when they didn’t have the resources to provide such services for a large event. Leaving the meeting, I learned that there are must ask questions for your potential florist. If you don’t like their responses, they aren’t the right fit for you. Before you head into the sea of wedding flowers, equip yourself with this quiz for your florist. Can I see a portfolio of your wedding work? The florist that I visited with last week never provided a portfolio or book of their wedding work. She tossed at me a few old books about wedding flowers, probably from the early 2000s. I left the appointment without seeing the florist’s work. You aren’t going to feel confident in your florist if they don’t provide you with a portfolio of their work. You need to see what they have done in the past before you fork over thousands of dollars in flowers. I had another meeting with a different florist later on the week. This florist first presented her portfolio of work before we discussed what she could do for me. I could visualize her style before we even started talking. If you don’t like the arrangements on your florist’s website or they never show you their work, steer clear and head for a florist who does. Many brides forget to ask their potential vendors how many weddings they do in a weekend. However, this is a key question, one you should especially ask your florist. The first florist that I met with told me that the shop only does one wedding a weekend. As our conversation wore on, she mentioned how they couldn’t set up or move flowers from the ceremony location to the reception because they would be busy with other weddings that day. I caught the lie and luckily so. If your florist schedules several weddings in a weekend that equates to less time spent on service and quality for your wedding. 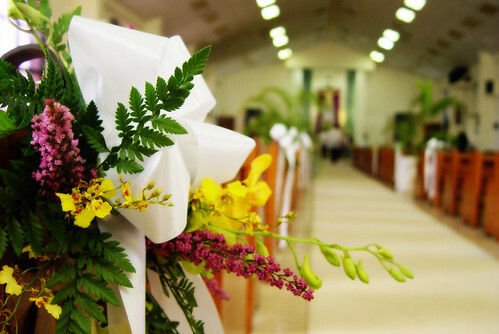 Unless they are a large company with the man and woman power to handle several weddings in a weekend, it is best to find a florist that will devote the weekend solely to your wedding. What flowers are in season around my wedding date? There are florists that will promise you flowers that are out of season. You might not even realize this if you don’t know when certain flowers are in season. The end result will be a very high price tag. Out of season flowers will be three to five times more expensive than flowers in season. A florist might be able to promise you a flower out of season, but it will cost you. Before you head down this slippery slope, you should study up on your flowers. Find flowers that will be available around your wedding date. 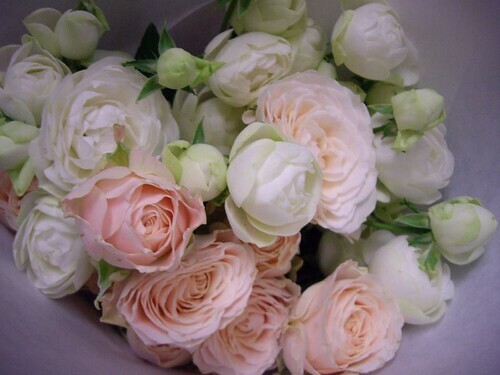 The end result will be more beautiful, fresh flowers at a lower cost. What is your delivery, setup and cleanup process? This might be the biggest question to ask your florist. You need to find out if they will not only just deliver your flowers to different locations but also if the florist will set them up. I was shocked at my first florist meeting when the florist acted as though it was unusual to deliver and set up the flowers. As a bride, the flowers are the last thing that I want to be worrying about on my big day. I also didn’t want a friend or family member worrying about picking them up and putting the flowers in place at both the ceremony location and the reception space. You need to think about these logistics and their costs, rather than trying to do it all yourself. Brides should specifically ask their florist if they will make at least three deliveries, one to the place where you are getting ready with your bouquets, corsages and boutonnieres, one to the ceremony space and one to the reception venue. Some florists merely just set a charge for delivery for the entire day, rather than for each separate delivery. However, others will charge for each delivery and each set up. Another aspect to this process to consider is whether the florist will transport your flowers from the ceremony space to the reception. When I asked the first florist that I met with this question, she acted as though this would be impossible. She remarked how they would have to wait around the time of the ceremony and that I should just get a sister to do it. If your florist doesn’t provide this service, you could end up being in hot water with your ceremony space. A venue might have certain polices about cleanup and if you don’t abide by them, you could face additional charges. In turn, the florist that wouldn’t take down and deliver will cost you time and money. Can I use my ceremony flowers at my reception space? For the bride on a budget, flowers can be a serious wallet drainer. 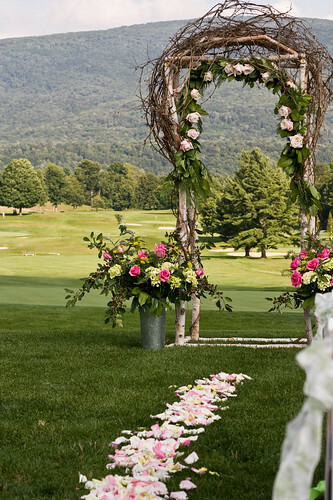 Most wedding experts say that flowers will take up 10 to 15 percent of the wedding budget. While they are a critical part to any wedding, you shouldn’t waste anything that you pay for in the end. One easy way to save is to have your florist move your ceremony flowers to your reception space. The second florist that I met with suggested using the flowers at my ceremony on cocktail tables at the reception space. Rather than having to order more flowers for cocktail tables, she found a solution that wouldn’t waste flowers. Most weddings largely take place at the reception space. For this reason, you can generally keep your flowers somewhat simple for the ceremony and make your reception more of the floral showpiece. What if a flower that I wanted isn’t available from your wholesaler? What do you do? Many florists order their flowers from wholesalers all over the country. If you have signed a contract with a florist, you have probably agreed on the flowers that they will use for items like your bouquet and reception arrangements. However, there is the chance that a flower you wanted won’t be available. Some florists will disguise this fact in the contract with clauses stating that you give up your design rights. If the flower isn’t available, someone will merely substitute another flower without telling you. Just to be clear, ask your florist where and how they get your flowers. You will have a better idea if this will occur or not. Also, be frank with your florist that you want to know if changes have to be made. Things like color, theme, price point and the overall look should be set in stone in the contract. You should at least recognize your bouquet before you head down the aisle. You won’t find this question on typical wedding checklists, but I am discovering through my own wedding planning just how crucial this question pertaining to passion can be for your vendors. Many of the vendors that I have moved on from were not passionate about their jobs. When I asked how they got started, it usually boiled down to a response about just falling into the line of work. 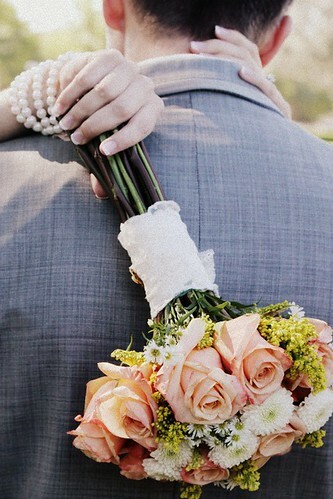 You want your florist to not just know how to identify flowers in a bouquet that you show him or her from Pinterest. They should also have a vision, which usually stems, pun intended, from their decision to get into the industry. 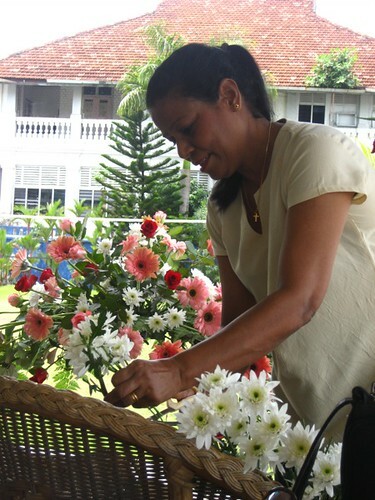 A florist who is passionate got into the line of work because they loved doing it. These professionals tend to have a better product for your wedding simply because they care more than the others who are just doing it for the business. At the infamous first florist meeting, I asked the florist how she got into the line of work. She remarked how it was a funny story. She just scored a job at the shop in college and didn’t leave. Going over what I wanted for my wedding, she had no ideas, no vision. You could tell that she lacked the passion and experience to make my flowers special for my day. On the other hand, the second florist that I met with told how she always loved flowers and weddings. She gushed about how she understood this bouquet would be the most important bouquet of my life. The passion and experience were there, lending me the expectation that this florist would actually design my wedding flowers far greater than I could imagine. Have you met with florists for your wedding? Did you forget to ask some of these questions and regret it later? Share your suggestions for questions to ask your wedding florist below.